3. URL of spoof website disguised by a button that says "Submit in securely". 4. Spoof website traced to Maharashtra, India. 5. Real URL obviously NOT eBay.
" 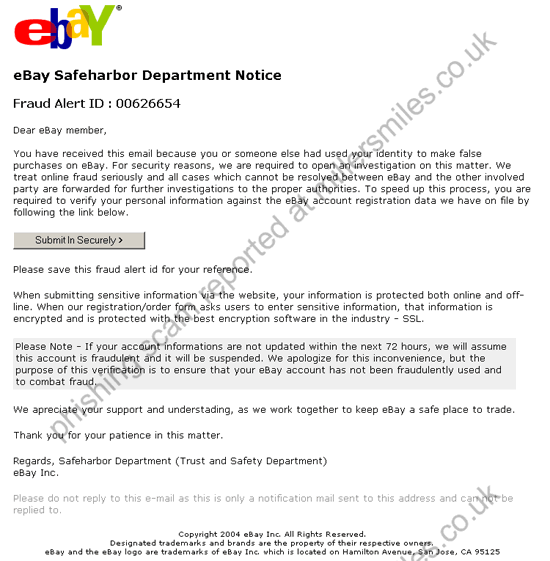 Dear eBay member, You have received this email because you or someone else had used your identity to make false purchases on eBay. "